Don’t question Life. Don’t ask ‘why’ or ‘why me’ or ‘why me now’? Simply learn to accept everything with a deep gratitude and everything will just be fine! The key causes of suffering are anger, grief and guilt. When you are angry over what has happened you ask ‘why’ or ‘why me’ or ‘why me now’? In merely asking those questions you suffer – because you are not likely to get any answers from Life! When you are consumed by grief over what has happened, when you live in the past, you suffer. When you consider what you have contributed to the situation that you find yourself in you will naturally feel guilty. But don’t live burdened by guilt. If you do, you will suffer endlessly. Anger, grief and guilt are normal responses to Life situations. But you must have the ability, cultivated through your awareness, to drop these debilitating emotions. When you do that, you will see your suffering vanish. None of us has a claim on our lifetimes. We have no claim on our existence. Life is a gift. We never asked to be born. This Life was given to us. So, whatever comes with this Life, kabhi khushi, kabhi gham, is a gift. So, we have no choice but to accept what comes our way. It is when we resist what we get that we suffer. Such resisting will make us grumpy, angry and miserable. Stop resisting and accept with gratitude – whatever you have for now, and you will not suffer. When there’s no suffering, you will see the pristine nature of Life in each situation. 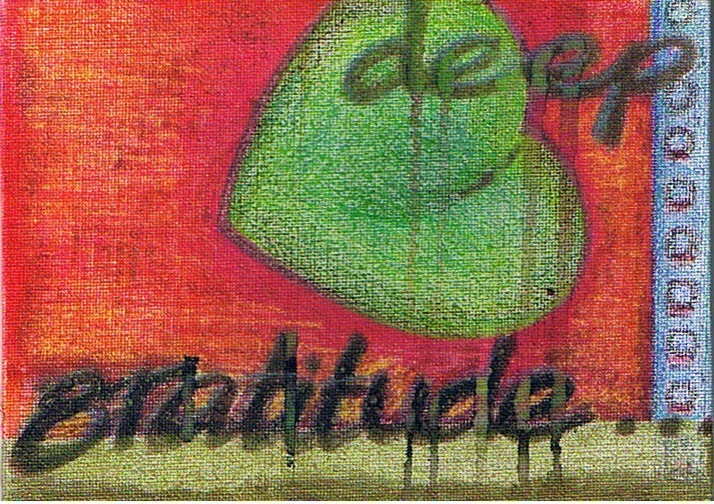 A deep gratitude then will arise in you. And move you to be humble and accepting of the Life that you have.